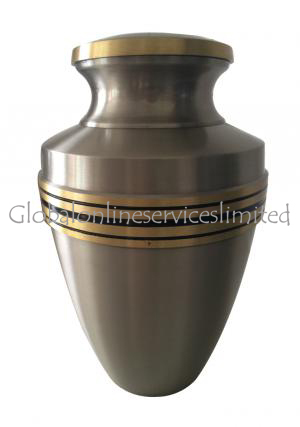 Affordable Price on Big Grecian Pewter Adult Memorial Urn for Cremation Ashes UK. Our Grecian Pewter Urn is hand cast from the finest quality brass, and has been finished in a combination of brushed pewter and polished brass for a timeless, classical look. The polished brass is reflected in the design of the lid, which has been fitted with deep screw threads for absolute security when filled. 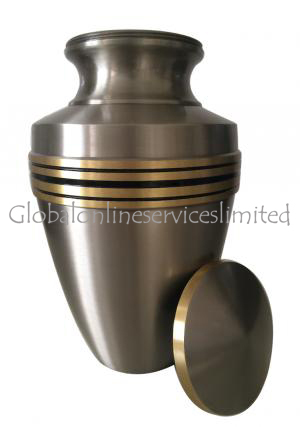 The Grecian Pewter Urn weighs approximately 2.3 kgs when unfilled. Like all of our adult urns, it is designed to hold the full ashes of an adult. We also offer classic Grecian keepsake urns for use with this product - a keepsake urn will hold a small portion of an adult's ashes, for private memorial requirements. The Grecian Pewter Urn is delivered free to all mainland UK customers, and is securely sent in durable packaging to ensure its high quality finish is not marred on its journey from our depot. Orders may be made securely through the site or over the phone, by calling us on 020 8004 6667. All phone orders are also confidential and secure. All of our cremation urns are manufactured to the highest possible standards - designed by expert craftspeople and finished with unique touches. 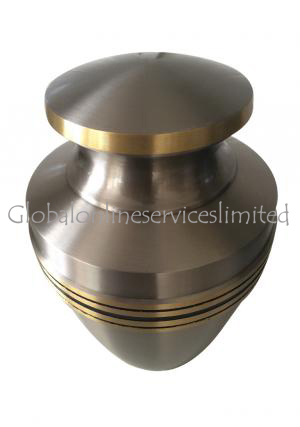 The Grecian urn, which is inspired by the look and feel of classical funeral pots, is no exception. 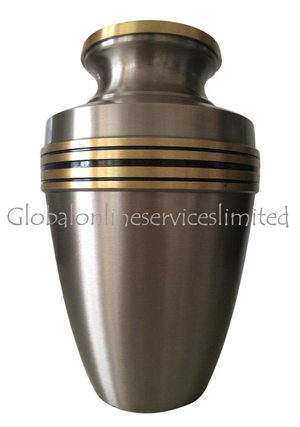 Its simple, elegant finish will provide the perfect container for any memorial occasion or location. 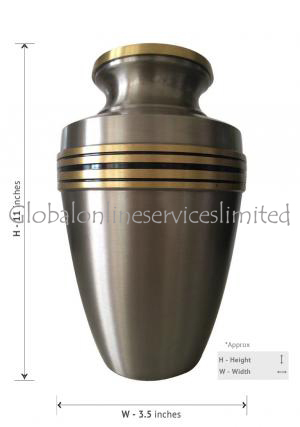 All of our urns can be personalised for a small fee. If you would like to personalise your urn please contact us by emailing cs@cremationurnsashes.com. Personalisation takes between 2 and 5 working days to complete.